My son made this lovely card for me with the help of his Daddy. 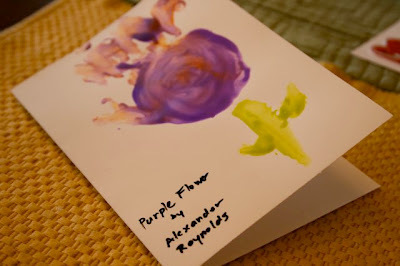 The funniest thing is that Jason told me the whole story of making this card which included Alex using finger paints, towels covering the carpet, and a surprise exploding paint tube. Pure hilarity! The end result was this fabulous card and I love it. I'll be honest...I'm also glad I had no part in cleaning up the paint splats. Oh, the wonderfulness of being honored by my husband and son today! 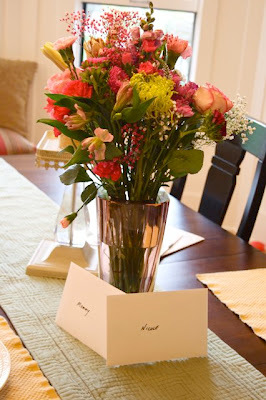 Happy Mother's Day to all you mothers, daughters, grandmothers, sisters, aunts and future mommies out there.